Until recently, Jan Morgan was buying one flip phone after the next. Now, she's an ambassador for the city's Digital Inclusion program and is teaching others how to use smartphones and computers. That was around the time she signed up for a computer class at her Lakeside apartment building. The classes are offered by the Austin Housing Authority as part of the city's Digital Inclusion program. Soon, Morgan became a digital ambassador and started teaching other residents in her building. "I learned that everything you can do on a computer, you can do on a phone, too," she said. Morgan is not the only one who has been catching up with technology. The City of Austin conducted a digital assessment in 2014 and found that 55,000 adults here didn't have access to either a computer or internet at home. The majority said the technology was either too expensive or they didn't have anyone to teach them how to use it. 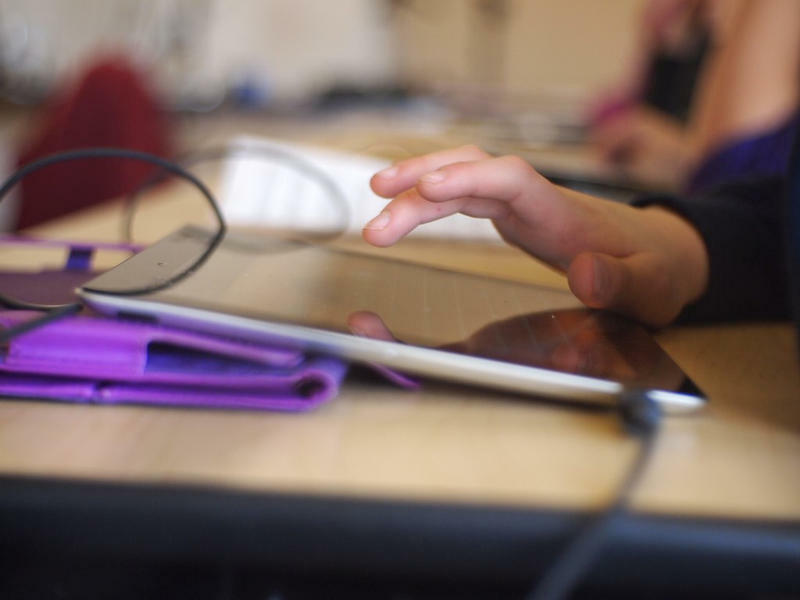 That was just the first wakeup call for city officials to address its digital divide. Three years ago, Austin was designated the most economically segregated city in the U.S., based on a research analysis from the University of Toronto. "Mayor Adler said at the time that is the No. 1 list that we do not want to be No. 1 on," John Speirs, program manager of the city's Digital Inclusion Program, said. In response, Speirs and his team partnered with several nonprofits, including Austin Pathways, to connect more Austin residents with the internet and refurbished computers. Morgan teaches a student how to search for directions on Google Maps. Catherine Crago, who heads up Austin Pathways' strategic initiatives, said the cost of connectivity for low-income people is not often considered by policymakers. "There is no standard measure for the cost of communications. [The Department of Housing and Urban Development] says 30 percent of your income should be spent on rent and 10 percent should be spent on transportation," she said, "but no one has defined how much communication should cost." Connecting people to the internet and training them how to use it is just one step, said Jessica Looney, program director for Community Tech Network in Austin. 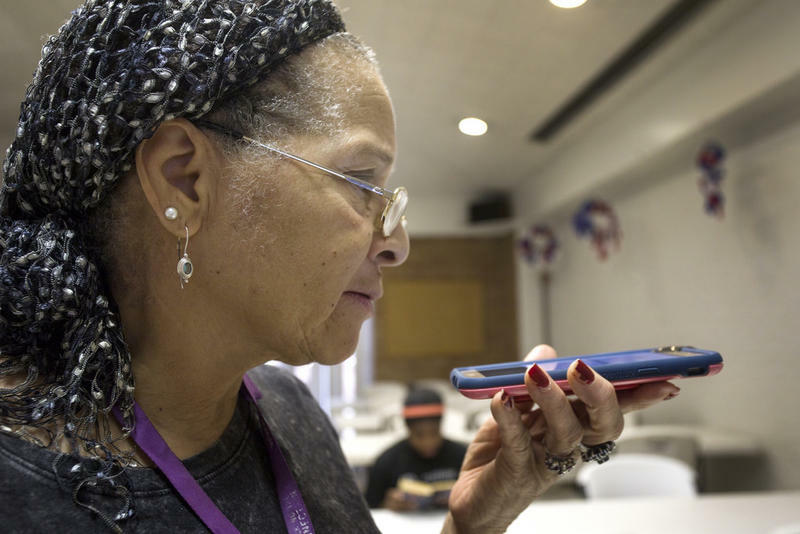 CTN is another partner with the city that trains older and low-income residents. Looney said her organization can provide the curriculum, but afterward some people can't afford the $3.99 per month for internet. "We can teach them about being online," she said, "but if they're not online then there's no purpose" if they can't use a smartphone to look up the bus schedule or complete an online homework assignments. Programs like Unlocking the Connection are helping to address this issue. 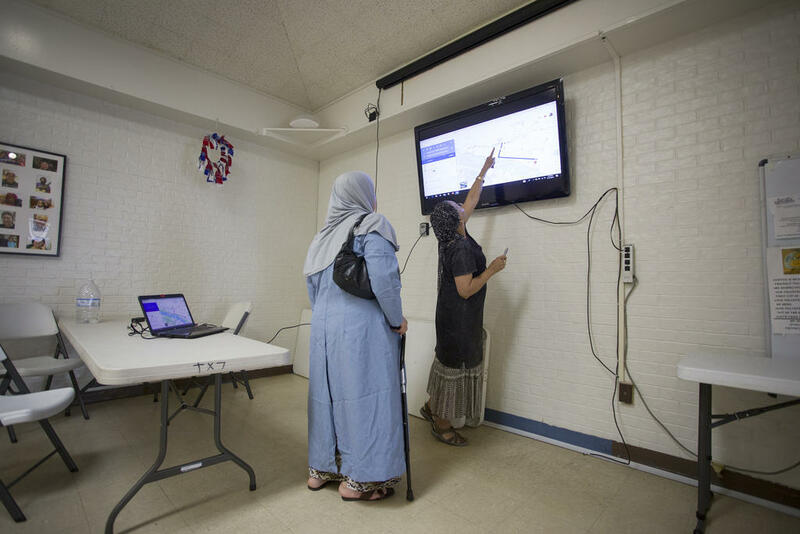 Since the first class of new learners, more than 1,000 residents have participated in the digital literacy training, and almost 900 have earned a computer, laptop or smartphone. Morgan will start teaching classes again in the fall. She said she enjoys being able to help empower people like her. A lot of seniors have fallen behind because, she said, they tell her it's only for young people. She tells them she used to think the same thing, but has changed her mind. "It's for us. It's not just for them. It's for us," she said.